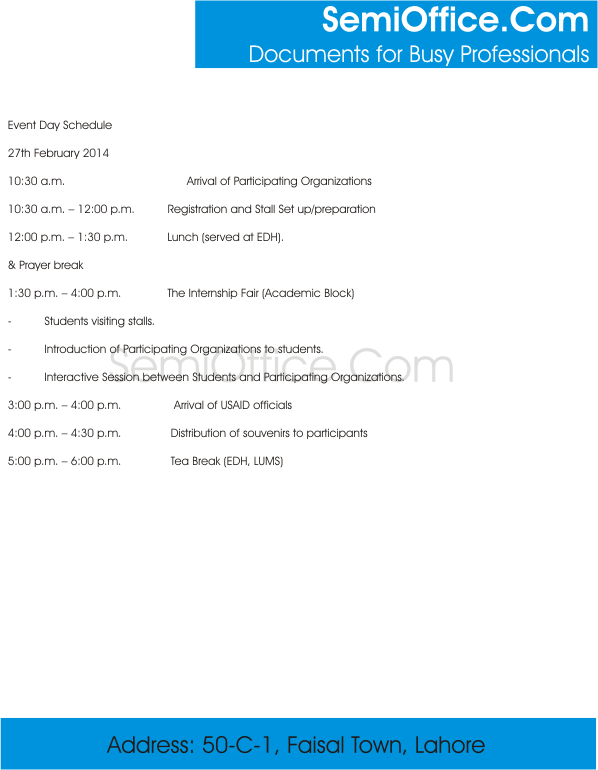 Sample Event Schedule Template for company, school, college or university. Event schedule includes guests arrival, guest registration, lunch time, tea break and event details. 12:00 p.m. – 1:30 p.m. Lunch (served at EDH). – Introduction of Participating Organizations to students. – Interactive Session between Students and Participating Organizations.